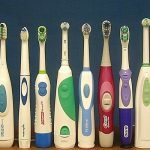 Is it true that an electric toothbrush has to be a pricey affair? No, it is not. 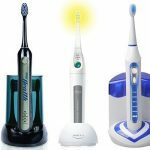 You will feel exactly the same by the end of this article as lay down my top picks for the best cheap electric toothbrush in the market. 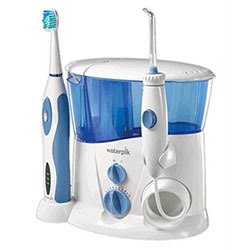 Most bestsellers in electric toothbrushes are cheap. But frankly, you do not expect a feature-rich electric toothbrush at a tight budget. You may have to leave behind some advanced features. However, that does not mean you cannot brush decently without those features. I have been personally using an electric toothbrush that is sufficiently cheap for a retired person’s convenience. Of course, I need to change the bristles (the whole head actually). For consumers like us, several manufacturers have introduced a string of inexpensive toothbrushes in the market. But sadly, most of the times there is a significant drop in quality while trying to make the toothbrushes even cheaper. But before you set out to make merry with toothbrush shopping, let me guide you through what exactly should you expect to receive. Also what you should not mind letting go for certain price points. 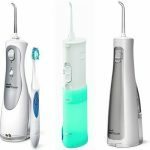 In this piece, I bring to you summarized reviews of some of the best cheap electric toothbrushes. Each of these brushes is a winner in their own individual spaces. I also made a well-analyzed comparison chart. Hope you don’t have to worry much about your budget anymore. 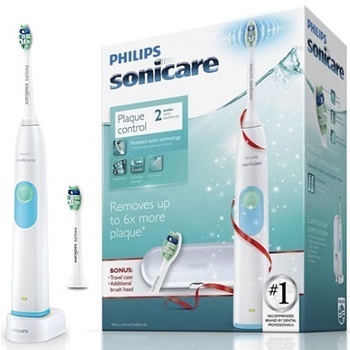 The HX6211/30 plaque care toothbrush is one of the best electric toothbrushes in the Philips Sonicare 2 product series and has been specially designed for plaque. 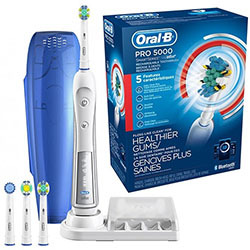 The electric toothbrush can remove plaque and help you stave off from cavities more effectively than many other electrical toothbrushes at this price point. The snap-on plaque controlling brush head has curved bristles for matching the uneven shape of your teeth. As a result, you can remove 6x more plaque than with any high-end manual toothbrush every time you brush with this cheap electric toothbrush. If you are like most users who choose electric toothbrushes over manual ones for speed and convenience, the easy start feature of the Philips Sonicare toothbrush is bound to impress you. A Smart timer is also there to assist you in brushing for full two minutes. The brush also has a user-friendly handle that can help you in comfortably holding the brush. The two-color battery life indicator is also a great user-friendly feature. 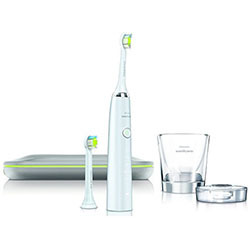 Check price>> Philips Sonicare 2 series Here! The toothbrush is long enough to reach and remove plaque from hard-to-reach places. Rechargeable batteries add to the user-friendliness. For new users, the brush is a little dangerous as it may cause to the bleed the gums. 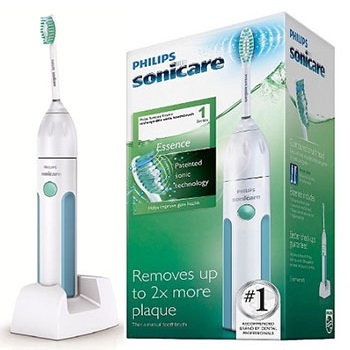 Philips Sonicare Essence rechargeable toothbrush can remove 2X plaque compared to any manual toothbrush. The electric toothbrush comes with one 9 standard e-Series brush head. 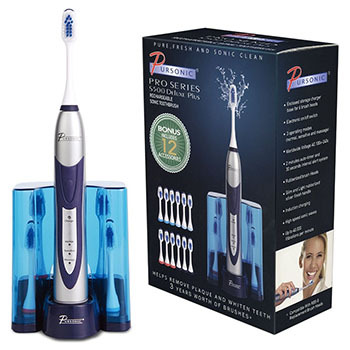 The Sonic technology which powers many other cheap Philips electric toothbrushes works well in removing stubborn plaque from hard-to-brush areas. With this technology built in the toothbrush, you can get 31,000 brush strokes every minute, which is quite higher than any manual toothbrush. In addition to the Sonic technology, the dynamic fluid action is highly effective in cleaning plaques stuck between teeth and alongside the gum line. The electric toothbrush also has a timer which reminds you if you have brushed for more than two minutes at a stretch. The toothbrush is rechargeable and you can use it for two weeks with a single charge. Also, if you forget changing the brush head at regular intervals, the bristles fade away towards the end of their lifetime to remind you about brush head replacement. Thoroughly cleans teeth and gum. 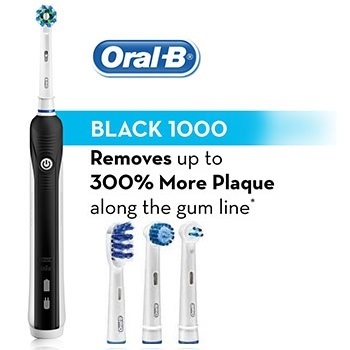 Removes 2X more plaque than any manual toothbrush. Sonic technology helps in removing intractable plaque from hard-to-reach areas. 30-second timer is not present, making it difficult for users to switch quarters. Water and bacteria quickly build up inside the cap. Braun Oral-b series electric toothbrushes have carved a niche for themselves in the electric toothbrushes market segment. The toothbrush can provide superior cleaning and the ergonomic design of the cross-action toothbrush also helps in precise brushing. The brush head is designed in such a way that it surrounds every tooth with the bristles angled and positioned perfectly. The 3D cleaning action, however, is the greatest aspect of the Oral-B Pro 1000 rechargeable toothbrush. The 3D cleaning head rotates, oscillates and pulsates to remove about 3X more plaque from your mouth compared to any manual toothbrush. The pressure sensor built in the electric toothbrush can stop the pulsating movement of the brush head when you apply excessive pressure on your tooth. The brush also features an in-handle timer that helps you brush exactly for two minutes. Also, the timer also signals you every thirty seconds so that you know when it’s time to change sides during brushing. Precision brushing with appropriate floss action. NiMH battery ensuring longer brushing time with a single charge. Noisier toothbrush compared to the Philips toothbrushes. The NiMH battery is not replaceable. The best thing about the Pursonic high-power cheap electric toothbrush is not the spare brush heads that come along, but the complete oral care system itself that comes with a nice little name, the S500. 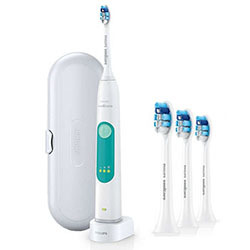 The manufacturers have brilliantly used Sonic wave technology in the electric toothbrush and it provides as many as 40,000 sonic brush strokes every minute. The electric toothbrush is highly effective in reaching the tightest corners inside your mouth and even the most obstinate plaques can be easily removed by the electric toothbrush. 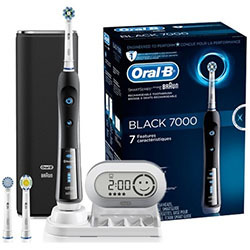 The toothbrush is equipped with a number of user-friendly features, including but not limited to the two-minute timer that sends a vibration alert every 30 seconds so that you know when to move the brush to another quarter of your mouth. 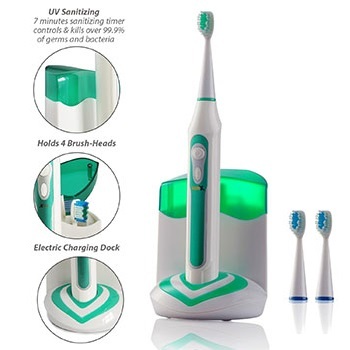 The four differently colored brush heads make the product usable for a family of four, which is yet another cost-saving feature of the electric toothbrush. The toothbrush can be used in three different modes. More brush strokes per minute than many other toothbrushes in this price range. The on/off switch is placed in a way that the user inadvertently jumps from one speed to another. The Xtech XHST-100 rechargeable toothbrush is powered by Ultrasonic technology which delivers the most desirable results. The Ultrasonic technology helps in producing a dynamic cleaning action as the brush heads produce 40,000 strokes per minute for thorough cleaning of the teeth and the gum. The brush head rotates around the gums but does not put excessive pressure on the gum. It is for this reason that dentists often recommend this cheap electric toothbrush for people with sensitive teeth. If you are using dental braces, fixtures or Invisalign, you can still use the X-tech electric rechargeable toothbrush. The auto-timer of the electric toothbrush helps you brush for two minutes, no less and no more. Additionally, the charging dock of the electric toothbrush comes with an UV sanitizer that kills the bacteria that grow on the brush head. The cheap toothbrush can provide you all-round oral care since you can clean and whiten your sensitive teeth, along with all the other teeth and gum with much comfort and convenience. The UV brush sanitizer is a brilliant add-on. Well-built toothbrush with ergonomic handle. Cleans hard-to-reach areas very effectively. The bristles are a little too soft. Brush heads are really hard to take off and replace. What makes Philips Sonicare Essence Sonic Electric Rechargeable Toothbrush better choice than the rest? The dynamic cleaning action of the Philips Sonicare 2 series electric toothbrush helps you in brushing hard-to-reach areas inside your mouth with much ease and comfort. The brush is certified as safe to use on both natural teeth and dental braces. It can clean up 2x more plaque than a manual toothbrush and the easy-start feature also helps users immensely in brushing on the go. 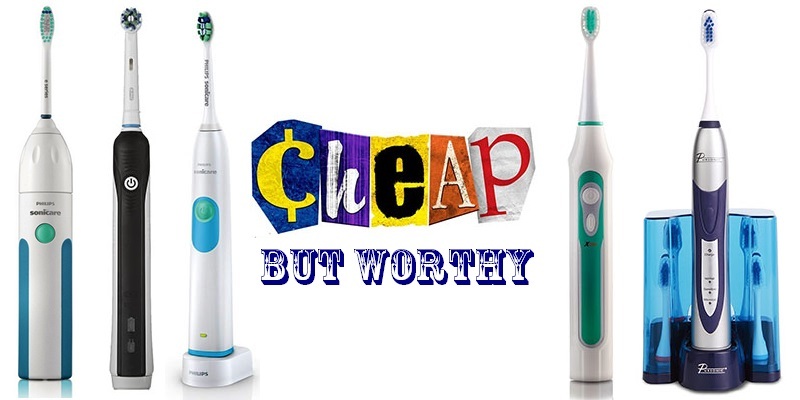 All in all, the cheap electric toothbrush provides the best value for money compared to the other toothbrushes featured here. We found little to none drawbacks while reviewing the electric toothbrush, whereas the other brushes have one or more downsides. For many years, Philips and Braun were the only distinguishable brands in the electric toothbrush market segment. 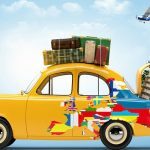 However, with new brands entering the market, competition has become only more intense. When it’s a battle of brands, it is the consumers who benefit the most. 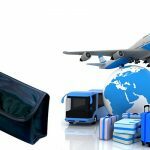 If you are looking for the best toothbrushes on a budget, compare the above products, read real user reviews and also watch out for new brands and models to come up.